Vietnam Television (VTV) and Vietnam Posts and Telecommunications Group (VNPT) officially launched the television program named ‘Digital Nation’ in Hanoi on March 22. 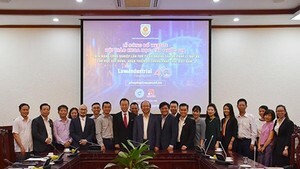 This program aims at providing Vietnamese citizens with comprehensive information on the nature and importance of the 4.0 Industrial Revolution. 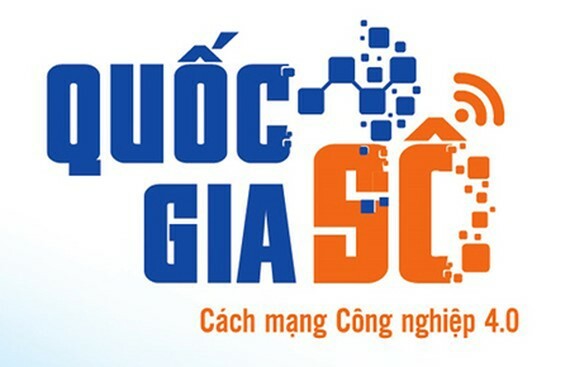 According to leaders of VTV and VNPT, ‘Digital Nation’ is one of the first programs in the communication campaign to raise Vietnamese people’s awareness on the 4.0 Industrial Revolution. It should help citizens to apply new technologies into their own life, while introducing typical businesses and individuals who are successful in investing, developing, and applying new technologies. The 4.0 Industrial Revolution has gradually happened and is speeding up cross over the world. It is a combination of different technologies in various fields of physics, digitization, and biology. The result is unprecedented abilities that are able to greatly affect not only political systems but also economic and social ones in the world. To help the country actively grasp opportunities and devise practical solutions while minimizing negative effects of the 4.0 Industrial Revolution, on May 4, 2017, Prime Minister Nguyen Xuan Phuc signed Directive No.16 on strengthening the capacity to approach the 4.0 Industrial Revolution. It states that communications should deliver precise information on this Revolution to the public and organizations. The program is also to update the public with new policies of the Party and the government on increasing the ability to approach the 4.0 Industrial Revolution. With a duration of 10 minutes per episode, the program is divided into two parts. The first is national and international news regarding Revolution 4.0. The second focuses on 3 major fields of the government with Revolution 4.0, businesses with Revolution 4.0, and the public with Revolution 4.0. All content will try to discuss latest issues which attract people or significantly affect them. The program will also deliver information on new technological applications, along with guidance and trials of those products, so that viewers are able to use them successfully. The program is scheduled to be aired at 9:10am every Saturday and Sunday on VTV1. The first episode of ‘Digital Nation’ is aired at 9:10am on March 24.